The monthly Welsh language periodical of the Welsh Shorthand Society. The periodical's main contents were articles on shorthand and shorthand exercises, the periodical being published in phonographic shorthand. 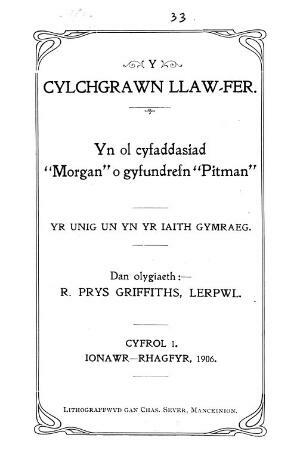 The periodical's editor was R. Prys Griffiths. Associated titles: Y Phonographwr (1878).